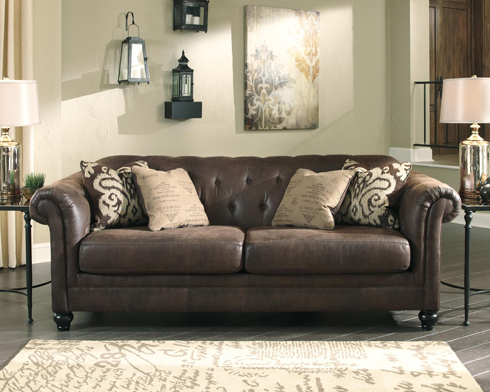 With over 300 sofas and sectionals to choose from at Belfort Furniture, it can be difficult to pick just one. We love the variety we're able to offer you with different styles, sizes, fabrics, and price points. Most often, your sofa will be the highlight or main feature of your living room, family room, or basement so it's an important piece of furniture! We know everyone's budget is different, so today we're highlighting a few of our favorites under $999. For some classic, basic styles that are budget friendly sofas...meet the Chantilly, Molly, Chelsea, Adelle, and the Talbot. 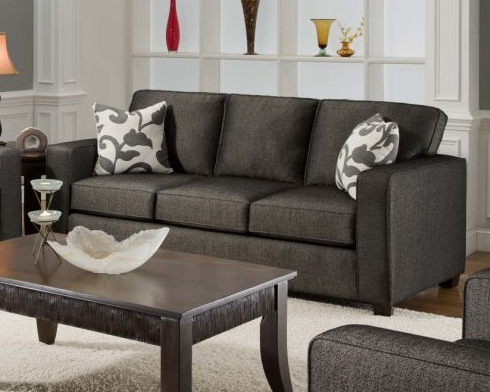 A modern style sofa available to customize with over 75 fabric options at one price, $499, the Chantilly Sofa by Belfort Essentials is a fresh look with clean lines and an updated feel. Made in America and built to last, this sofa is sure to become a favorite in your home and also has a loveseat, chair, and ottoman option within the collection. A stylish, elegant, and comfortable sofa, the Molly Sofa by Belfort Home is available to customize with numerous fabric options. Charles of London arms create a classic look and down blend pillows create a comfortable oasis. Customize the upholstered chair from the collection for a complete room setting. Looking for something classic and sophisticated? The Chelsea Chesterfield Sofa by Craftmaster features a button tufted back, elegantly carved bun feet, and unique flaired track arms. Shown in an elegant brush crushed velvet, this sofa is available to customize with any of Craftmaster's fabric options! For a classic chesterfield, the Adelle Transitional Sofa features rolled arms, button-tufting, and updated ikat print and french script pillows. Also made in the United States, this sofa perfectly combines classic, contemporary, and comfortable. 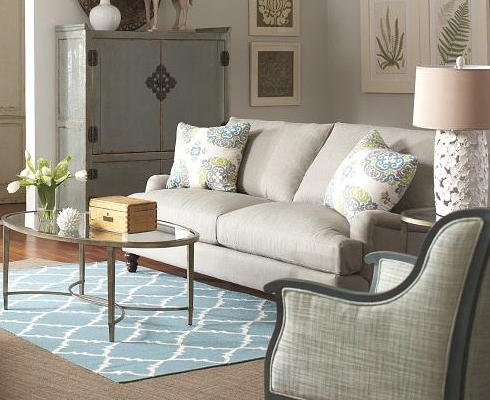 A clean, tailored look is easy to achieve with The Talbot Sofa. Available only as shown, this sofa features a black and white herringbone fabric that provides an overall soft black/gray color. White and gray patterned pillows keep this sofa contemporary and updated with today's trends. These sofas are just a few of our favorites under $999 - be sure to view all of our everyday value Sofas Under $999 online or visit the Belfort Furniture Campus, conveniently located in Dulles, Virginia. With hundreds of room settings on display, you'll find a variety of price points, a plethora of inspiration, and knowledgeable staff to guide you through your furniture selection process!